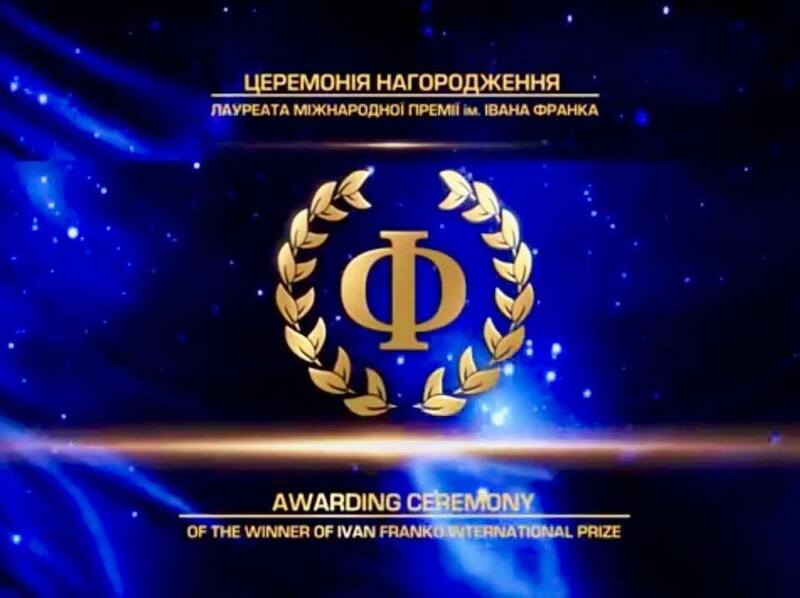 Award of Ivan Franko International Prize (hereinafter – the Prize) is an honorary recognition of significant achievements and considerable services of scientists in the field of Ukrainian studies and social and humanitarian sciences. The Prize was established in order to promote comprehensive study of creative, scientific and social activities of Ivan Franko and encourage scientists from around the world to conduct relevant researches in the field of social sciences and humanities and Ukrainian studies emphasizing humanistic, national, spiritual, statist sense for learning and consolidation of scientific and cultural heritage of Ukraine in the global context. The Prize is awarded to scientists whose research papers have been submitted to the Prize Committee in accordance with this Provision and have been recognized as the best as assessed by the International Jury. for significant achievements in the field of Ukrainian Studies for significant achievements in the field of social and humanitarian sciences. The contest for winning the Prize shall be held annually. Academic institutions, higher educational institutions of Ukraine and countries of the world with which Ukraine has diplomatic relations, as well as the winners of the Prize in previous years may submit scientists` research papers for winning the Prize. The same person may be the winner of the Prize only once. 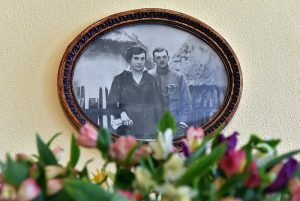 The Members of Ivan Franko Fund, Members of the Board and Administration of the Fund are now allowed to submit their scientific works for the Prize. After reception of documents, the Prize Committee shall transfer research papers to the Nomination Committees, which determine the compliance of works with the declared nominations and the regulations of this Provision. Papers admitted by the Nomination Committees to participation in the contest for winning the Prize are transferred to the International Expert Council, which determines not more than three candidates for the Prize in each of the nominations. The International Jury shall define the winner of the Prize from among its nominees, which have been elected by the International Expert Council. Awarding of the Prize winners shall take place annually on August 27. The Board of the Fund shall approve the Schedule Plan of events on conducting contests for winning the Prize as well as awarding of the Prize winners. 12. The Prize Committee consisting of members of the Board of Ivan Franko International Fund Charitable Organization shall organize and conduct the contest for winning the Prize and monitor compliance with the Provision on the Prize as well as the terms of election and awarding of the Prize winners. 13. Nomination Committees shall be established in order to determine compliance of the submitted papers with this Provision. They shall consist of 5 persons performing their activity in the areas covered by the Prize nominations. Nomination Committees shall be formed and operate under the Provision approved by the Board of Ivan Franko International Fund Charitable Organization. 14.Professional and objective assessment of the papers submitted to the contest for winning the Prize shall be entrusted to the International Expert Council composed of the recognized and respected scientists from different countries. The International Expert Council shall elect three Prize nominees, as well as submit candidatures of the International Jury for the consideration and approval by the Board of Ivan Franko International Fund Charitable Organization. The Board of Ivan Franko International Fund Charitable Organization shall approve the Provision on the International Expert Council. 15. The International Jury, which is formed annually at the suggestion of the International Expert Council and consists of 12 people, shall define the winner of the Prize. In its work, the International Jury shall be guided by the Provision approved by the Board of Ivan Franko International Fund Charitable Organization. The winner of the Prize shall be elected from among the nominees defined by the International Expert Council. c) research work (a study, a monograph, thesis, book, cycles of lectures) of the size of at least 6 publishing sheets with the names of reviewers and a bibliography in the subject of research. f) personal written consent of the author (authors) of the scientific work to participate in the competition for the Prize. 17. Works claiming to win the Prize shall be published during the year when the beginning of submission of the documents submission for the Prize was announced or for two previous years. The books shall contain ISBN. 18.The abstract to the scientific work shall specify a scientific discipline to which the work relates or disciplines in case the work has an interdisciplinary nature. 19. Documents shall be submitted in care of the address of the Prize Committee indicated in the announcement on the submission of documents for winning the Prize as well as sent in electronic form. Hard copies of the research paper shall be initialed by their author. 20. Extended abstracts on the research papers recommended for participation in winning the Prize shall be made in Ukrainian and English. The Prize Committee shall be responsible for reservation of copyright to all papers submitted for winning the Prize. 21. The main criterion for selection of nominees for winning the Prize is his/her professional competence in his/her field of study and international level of scientific achievements regardless of gender, religious or political preferences or ethnic origin of the author. 22. The Prize shall be awarded for significant contribution to the development of Ukrainian studies or social and human sciences, for outstanding work or specific scientific discovery, which is a significant contribution to world science and culture. 23. The Prize winner shall be awarded a diploma and a commemorative lapel pin (medal). Description of distinctions of the Prize winner shall be approved by the Board of Ivan Franko International Fund Charitable Organization. 24. The Prize winners shall be given monetary remuneration, the amount of which shall be fixed annually by decision of the Board of Ivan Franko International Fund Charitable Organization. 25. Within six months after being awarded the Prize, the Prize winner shall deliver a lecture – a popular presentation of the contents of the research paper, which was awarded the Prize – in I. Franko Drohobych State Pedagogical University, I. Franko Lviv National University, T. Shevchenko Kyiv National University and Yu. Fedkovych Chernivtsi National University.